The needles come with 24Karat gold plated ferrules and connectors, making them very attractive to look. A must-have needle for all knitting – lovers. 7 pairs of tips in sizes US 4 (3.5mm), 5 (3.75mm), 6 (4mm), 7 (4.5mm), 8 (5mm), 9 (5.5mm), and 10 (6mm). 2 cords to make circulars measuring 16". Q: Are the tips sold separately? Yes they are sold separately but at this time we do not stock the individual tips, sorry about that. They are available from us through a special order if that works for you. If so please let us know on our "Contact Us" page and we would be happy to order them in for you. 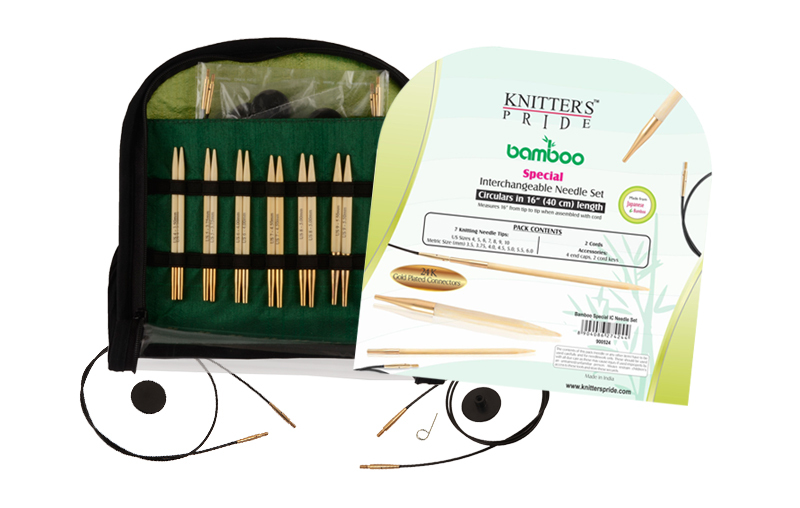 These KP bamboo IC tips are only available in the 4.5 inch long tips.